New Delhi: The University Grants Commission or concerned ministries have not released the Maulana Azad National Fellowship (MANF) for minority students and the Rajiv Gandhi National Fellowship (RGNF) — now renamed as National Fellowship for Scheduled Caste Students — in last two years, according to research scholars. Responding to this, a Minority Affairs Ministry official said the UGC had completed the selection process for 2016-17 and 2017-18 academic years earlier as the rules renewal was expected and with the new guidelines, the commission is expected to release the 2018-2019 notification very soon. “Selection process for two years was done in 2016-17 academic year. Later, the ministry had issued new guidelines for the selection process. Now, we have sent the minutes and guidelines to the UGC and a notification expected in two weeks,” said the official. The official has also added the scholarship slots have been increased from 756 to 1,000 now. A UGC official confirmed to NDTV that the process for the notifications for both MANF and National Fellowship for Scheduled Caste Students is in the pipeline and will be released anytime soon. NDTV has contacted the Ministry of Social Justice, but could not elicit any response in this regard. “In 2017, Ministry of Minority Affairs came up with a notification for using NET as criteria for Moulana Aazad National Fellowship. The UGC stopped notifying the call for application for the fellowship for the past 2 years as they do not know how to go about this new criteria suggested by Ministry,” a student activist from JNU told NDTV. “For the past 2 years, 1500 scholarships have been lapsed and if this continues another 1000 scholarship will also get lapsed in this academic year,” he alleged. “It’s very unfortunate that applications for research fellowships such as MANF, RJNF, and OBC Fellowship were not called for the last two years,” complained a minority student who is pursuing research studies. The student also said that the only notification regarding these fellowships was about the new criteria to be followed while applying for them such as the requirement of NET for MANF. “Finally, now after the passing of more than two years, UGC has recently called application for OBC Fellowship, but not for MNF nor for RJNF. I think it’s high time the matter should be brought into the public notice,” the student said. The MANF scheme is open to candidates who belong to one of the Minority Community i.e. Muslim, Sikh, Parsi, Buddhist and Christian to pursue higher studies such as regular and full time M.Phil/Ph.D. degrees in Sciences, Humanities, Social Sciences and Engineering and Technology. The RGNF Scheme for Scheduled Caste and Scheduled Tribes (now renamed as National Fellowship for Scheduled Caste Students) is formulated and funded by Ministry of Social Justice and Empowerment and Ministry of Tribal Affairs. The scheme is open to candidates who belong to Scheduled Caste and Scheduled Tribe who wish to pursue higher studies such as regular and full time M.Phil. and Ph.D degrees in Sciences, Humanities, Social Sciences and Engineering and Technology. In RGNF, there are 1333 slots for Scheduled Caste and 667 slots for Scheduled Tribe candidates every year for all the subjects. 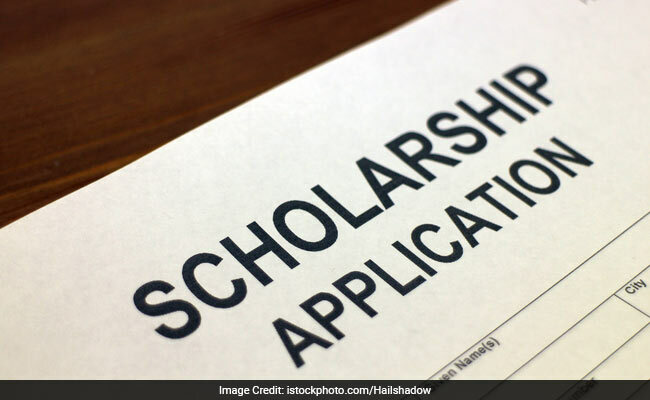 According to an official who is charge of the scholarship disbursal from a partner bank, the main reason for delay in notification is because of the lack of proper planning by the UGC and respected ministries. He also told NDTV that, in the case of RGNF, the name of the scheme was recently changed to National Fellowship for Scheduled Caste Students, but, after that, no communication has happened either from the UGC or from the Ministry.